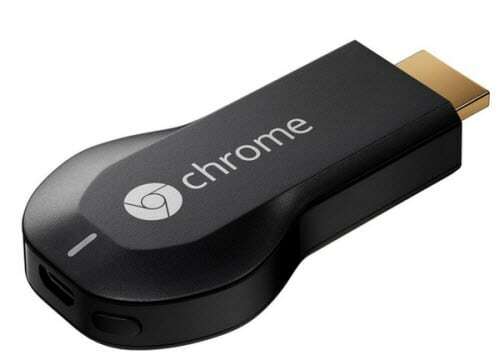 Google Chromecast is a digital media player that allows you to stream MP4, WebM, MPEG-DASH, Smooth Streaming, and HTTP Live Streaming (HLS) video formats on your High Definition Television (HDTV). It requires a wireless connection using the Internet or a network connected computer, tablet, or smartphone. You can play various multimedia content, but only Google Cast supported formats can be streamed directly. If you would like to play unsupported formats, such as MKV, VOB, FLV and AVI, you will need to get an application like Wondershare Video Converter, to stream movies, TV shows, and music video with unsupported formats. In this article, you will learn about supported and unsupported video formats and how you can stream them using your Chromecast media player. The default Chromecast video formats are MP4 and WebM. It also supports MPEG-DASH, Smooth Streaming, and HTTP Live Streaming (HLS) video files. All other video formats are unsupported. The following information provides a brief introduction of supported and unsupported formats. MP4- MPEG 4 or MP4 video files uses the standard .mp4 extension. It is most commonly used to store video and audio files. AVI – AVI (Audio Video Interleave), the most common format for audio/video data on the PC, is a multimedia container format with video and audio. MKV – The Matroska Multimedia Container holds video, audio, picture, or subtitle tracks in one file. FLV – Flash video formats are video files that are streamed over the Internet using the Adobe Flash Player. MOV – MOV is a multimedia file format that contains one and more tracks of data, such as audio, video or text. VOB – VOB (Video object) files are DVD-Video file formats that contain digital video audio, audio, and subtitles relevant to DVDs. 3G2 – This is video container file for audio, video, and text that is an extension of MP4. Since Chromecast only supports few video formats, it is recommended that you get a video streaming application that allows you to stream unsupported formats, such as M2TS, 3GP, DIVX, RM, RMVB, ASF, TS, DV, F4V, OGV, TOD. Wondershare Video Converter for example allows you to use Chromecast to stream unsupported formats through your Windows computer to your television. There are various ways that you can stream supported videos using your Chromecast media player, but here you will learn three of the most commonly used methods. You will learn how to connect using a computer, mobile device, and through the YouTube app. To stream videos using your mobile device, you will need to download and open the Chromecast app on your Android or iOS smartphone or tablet using Google Play or the App store. The Chromecast app is available for Android tablets and smartphones through Google Play and for iPhones and iPads in the App store. Note: You should ensure that your mobile device is connected to your Wi-Fi and not your mobile network. Also, you must have the latest app installed and be on the same network as your Chromecast digital media player. Step 1. Open the Chrome browser on your computer and then navigate to this page to see how to setup Chromecast. Step 2. Dwnload the Chromecast app to your computer. Step 3. Select the instruction below that is applicable to your computer. i. On your Windows computer, Save the file, Run the Chromecast app and follow the prompts to complete setting up Chromecast. ii. On your Mac OS X computer, drag and drop the Chromecast app into your Applications folder. You will need to open the folder, run the application, and then select the Chromecast device. Follow the instructions to complete the setup process. Follow the instructions below to download and setup YouTube to watch videos on your TV using your Chromecast device. Step 1. Connect your Chromecast device to an available HDMI slot on your HDTV. Step 2. When your Chromecast digital media player is securely connected to your TV you will see the Chromecast Home screen with your Wi-Fi name at the bottom of the screen. Step 3. Now, download the YouTube app on your Android or Apple tablet or smartphone. Step 4. Connect your Android or Apple device to the same Wi-Fi network as your Chromecast device. Step 5. Open the YouTube app on your Android or Apple device and click the Cast button to start streaming videos. The following chart provides a list of requirements for streaming supported videos using a computer, YouTube, and a mobile device. Wondershare Video Converter – It provides a powerful plugin called "Media Server" which allows you to directly stream both supported and unsupported audio and video formats to Chromecast. Wondershare DreamStream Application - DreamStream allows HD streaming from PC and tablet to TV through Chromecast. It allows you to stream TV shows, movies, and music videos with any video format to your TV. RealPlayer Cloud – The Real Player Cloud app allows you to stream unsupported videos to your TV with your computer or mobile device. The following chart provides a list of requirements for streaming unsupported videos to your TV using iDealShare video converter, RealPlayer Cloud app, and Wondershare DreamStream. MKV, AVI, MP4, Apple ProRes, MOV, FLV, VOB, DAV, MPG, MXF, avchd, WTV, WMV, ASF, RMVB MP4, WebM, AVI, MKV, RM, RMVB, MOV, MPG, VOB, FLV, WMV, ASF, TS, M2TS, 3G2, 3GP, DIVX, DV, F4V, MTS, OGV, TOD, TP, TRP FLV, WMV, MKV, DIVX, XVID, MOV,AVI, and MP4. At the end of the day, streaming supported and unsupported video formats to your TV with Chromecast are easy to accomplish with any of the methods and tools discussed.